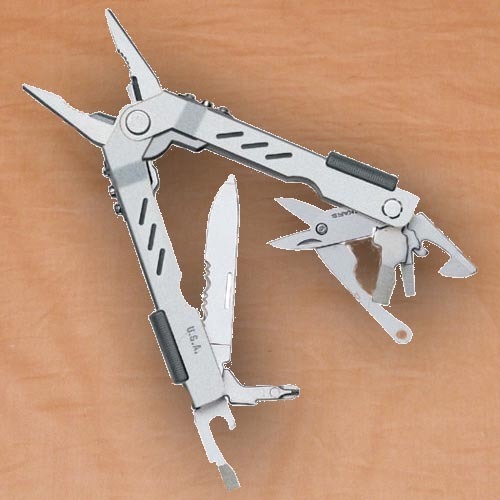 The Gerber Compact Sport Multi Plier 400 is the fully functional toobox that fits in the palm of your hand. This ultra compact tool features all stainless steel hardware, Fiskars scissors so sharp they can cut through seat belts, and patented pliers that open easily with one hand. All components lock for safety with Gerber's patented Saf-T Plus locking system; the safest, strongest, most durable lock available.